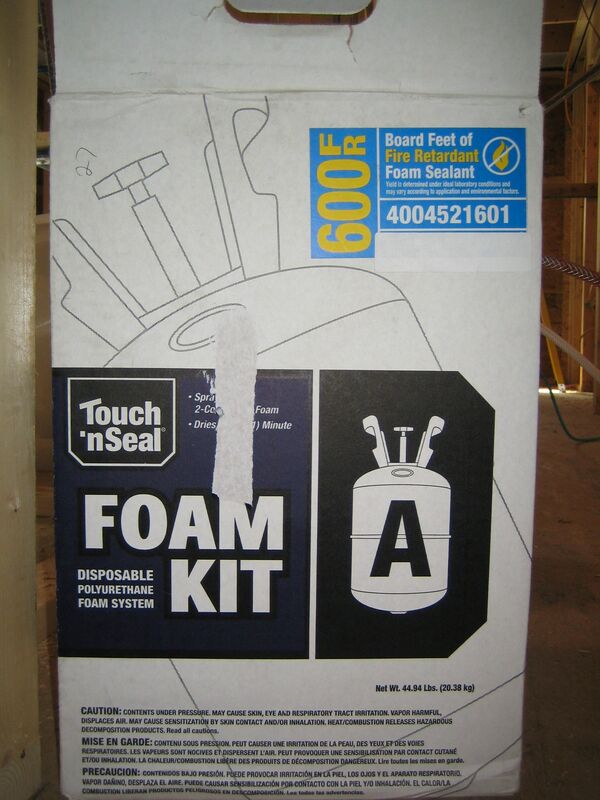 Many spray foam kits are targeted for the ‘do it yourself’ crowd, but if you do it yourself and you encounter problems, be prepared to remove bad foam. Foam is great in spots where nothing else will work quite as well. 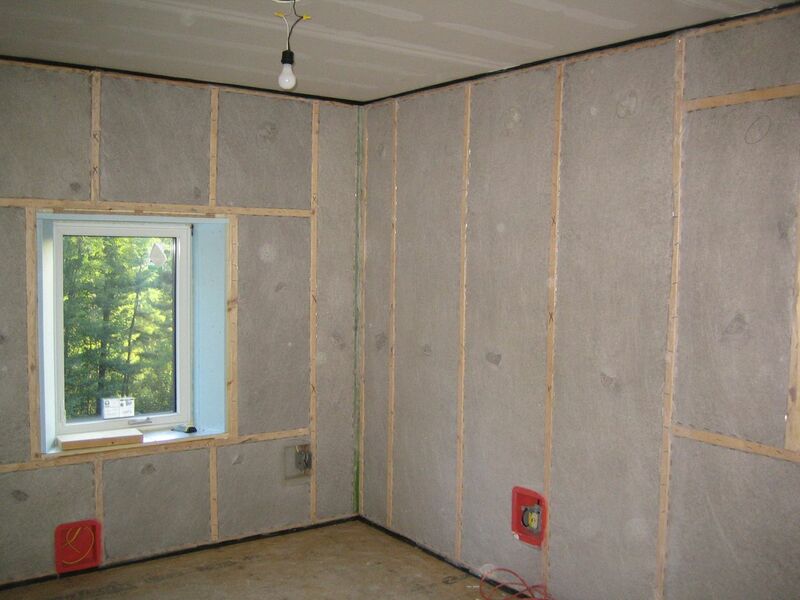 We used foam primarily for air sealing in odd spots, but also for insulation value in areas where it was difficult to blow cellulose. 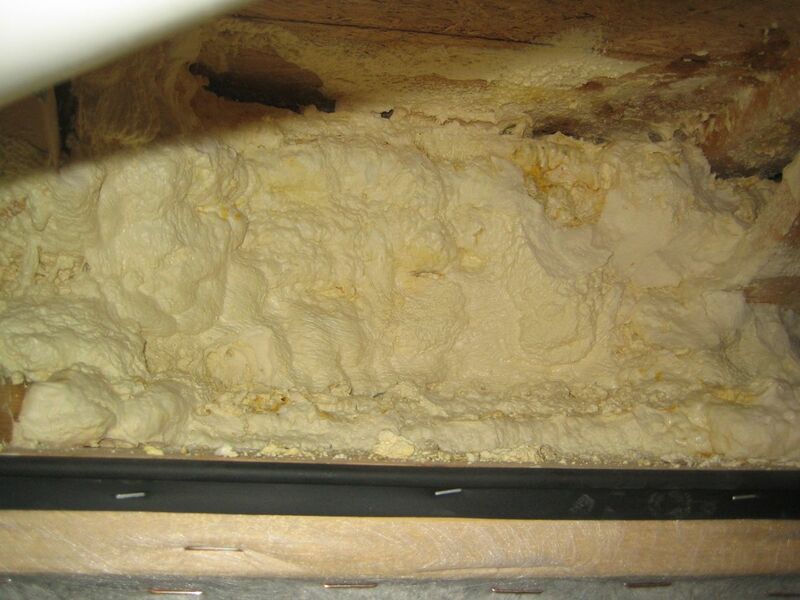 See our previous post on this topic, “Foam continued…“. Foam can be fussy. Foam itself must be within a specified temperature range, the surface must be clean and within a specified temperature range, the hose and gun must be in perfect working order, and once you start spraying you can’t stop for more then a few seconds without gumming up the spray gun. In addition, you must provide adequate ventilation and wear protective clothing, breathing gear and goggles. Does this sound like a DIY project? 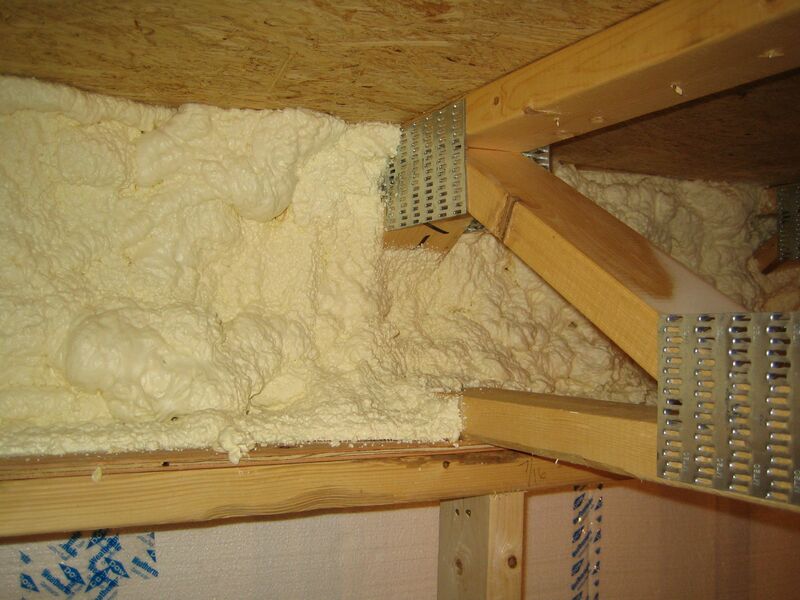 I’m guessing most applications of spray foam are successful. We had used about 6 kits before we ran into problems, but sometimes things go wrong. 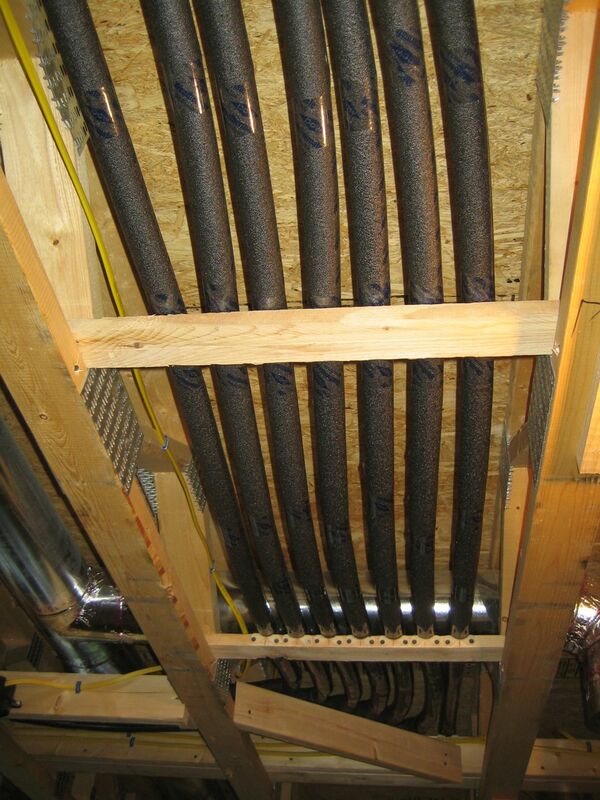 In our case, since we are not professional installers we were not immediately aware that something was going wrong. 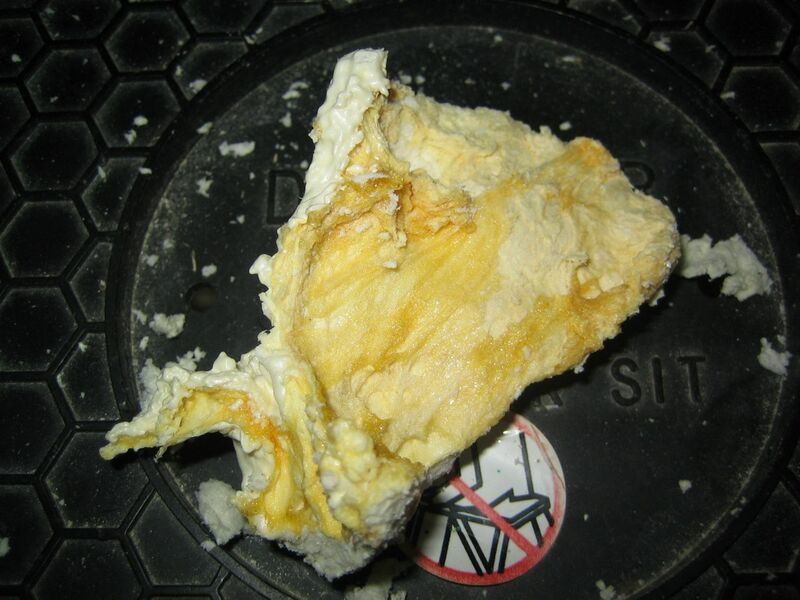 The foam did not appear to be expanding as usual or curing properly. It looked a little more yellow than white and felt rubbery when poked. 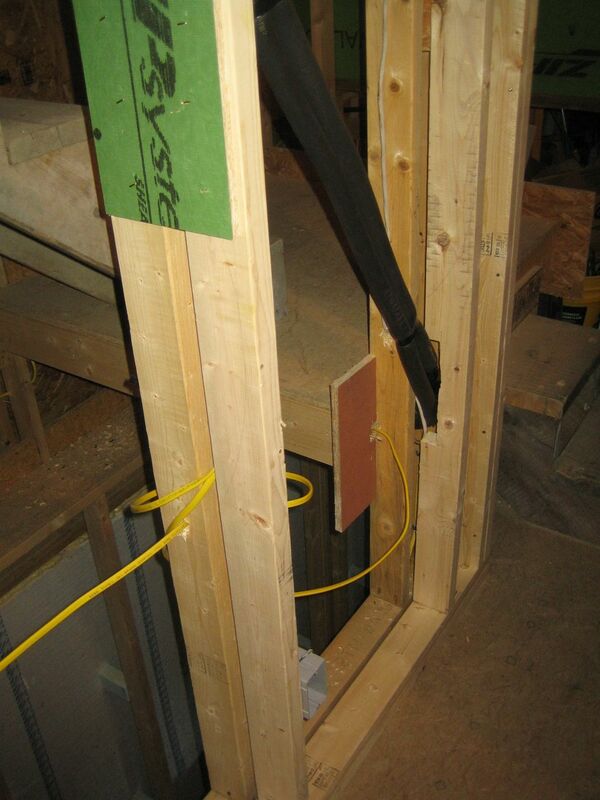 By the time we realized something was not right, we had sprayed some 40 linear feet of band joist area in the basement. We’re still not sure what caused the problem. Was it a bum kit or bad hose and gun? We had followed all the same precautions as before, but we had very different results. At first the manufacturer told us to just let it air out, it would cure on its own, it just might take longer than usual. So we vented and waited a month. All we had was a sticky smelly mess. After several conversations with the manufacturer, we were faced with two options. A. Remove the bad foam. B. Spray over it with a (hopefully) good layer of foam to seal in the bad smelly stuff. We decided to remove the foam. 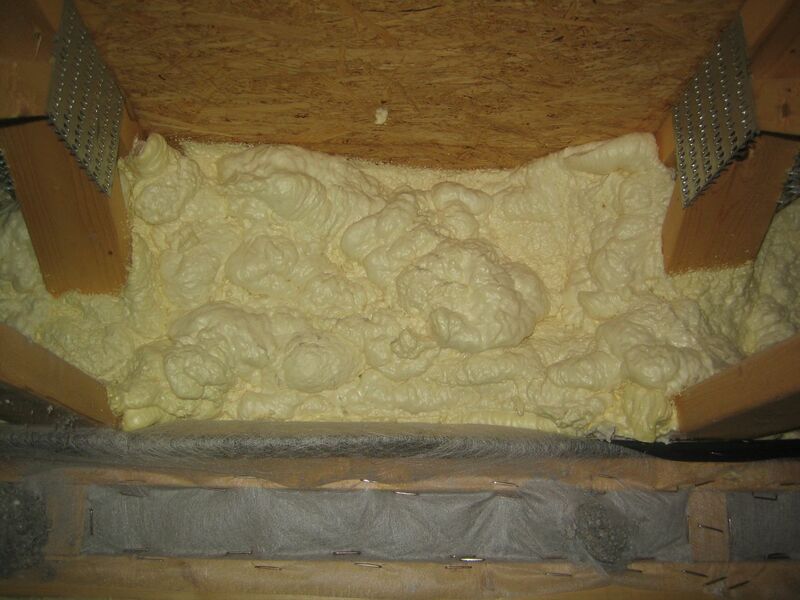 For more background on why we chose to remove the foam, see Martin Holladay’s post on GreenBuildingAdvisor, “Spray Foam Jobs With Lingering Odor Problems“. 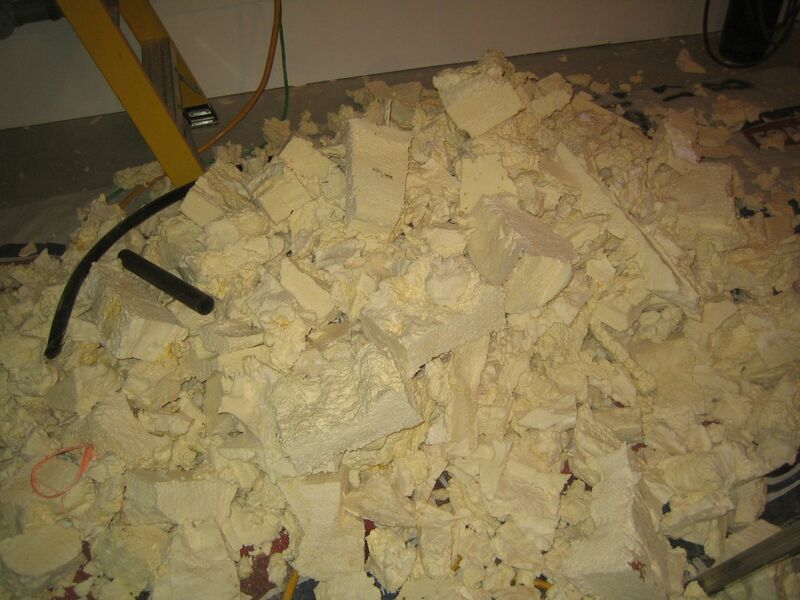 Removing bad foam is a nasty job. 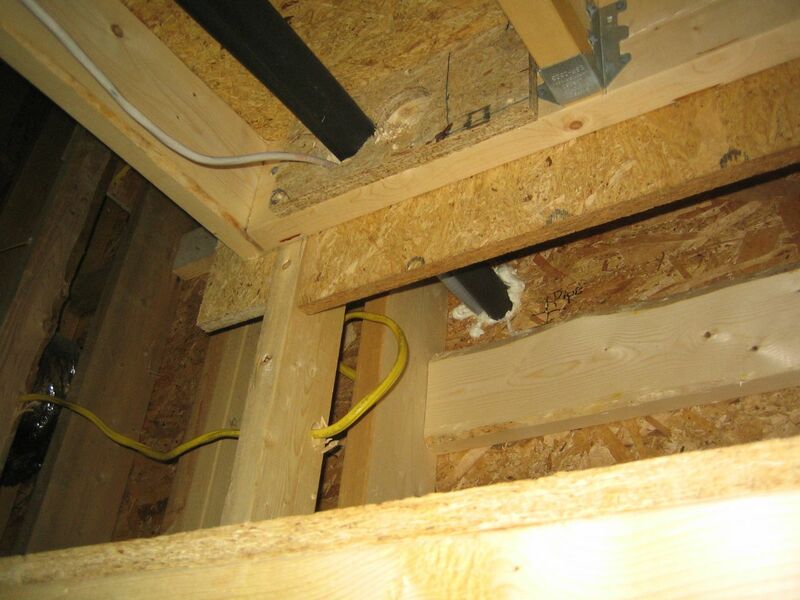 In our case, removing foam from a roughly two foot deep cavity at the rim joist area around 12 inch deep trusses with sharp metal plates. Not an easy job. My arms ached and even though I wore a mask and ventilated the space I still woke up with headaches the next day. 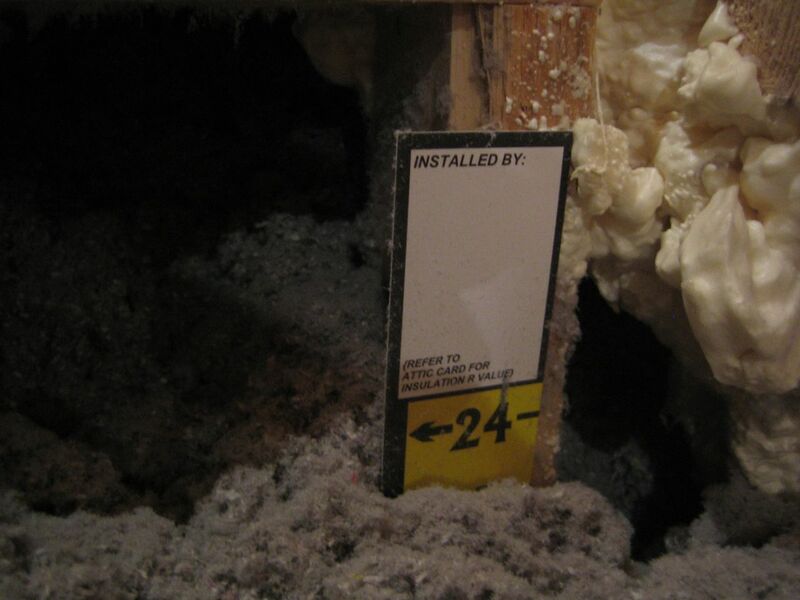 When I started pulling out the foam, I realized there were several areas where the foam had shrunken away from the sheathing by as much as an inch. I’m a bit concerned about this. Was this just due to the bad foam, or had this happened in other areas? I tried to remove as much of the bad foam as I could, but there were areas at the corners where I couldn’t reach and areas behind ducts and wires that I didn’t want to be poking around with the serrated knife I was using to cut the foam into sections for easier removal. I was able to remove roughly 80% of the bad foam. For the remaining areas, we just foamed over them. So far, our re-foaming efforts have been positive. 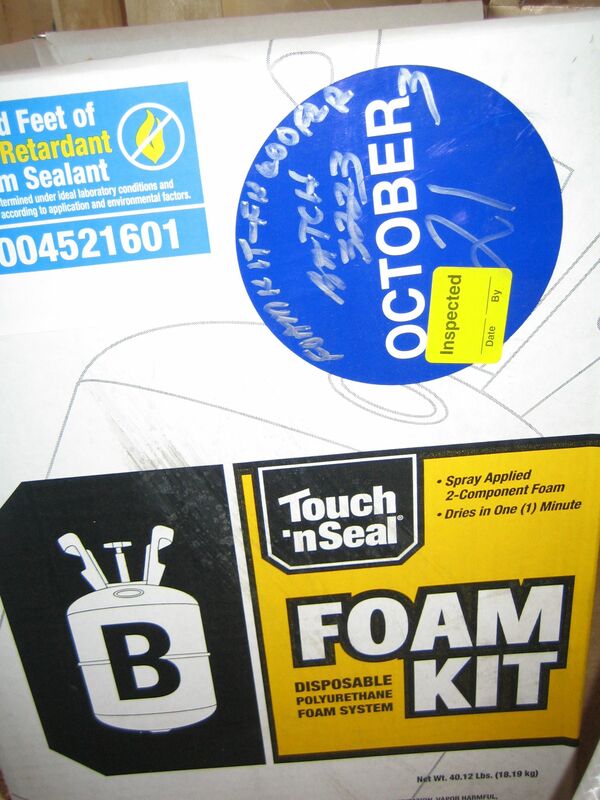 The replacement foam kit provided free by the manufacturer yielded nice expanding foam that cured normally. We’re not quite finished, but I’m keeping my fingers crossed that we won’t encounter any more problems. I’m also hoping that we don’t encounter any more smelly issues when the temperatures begin to rise next summer. 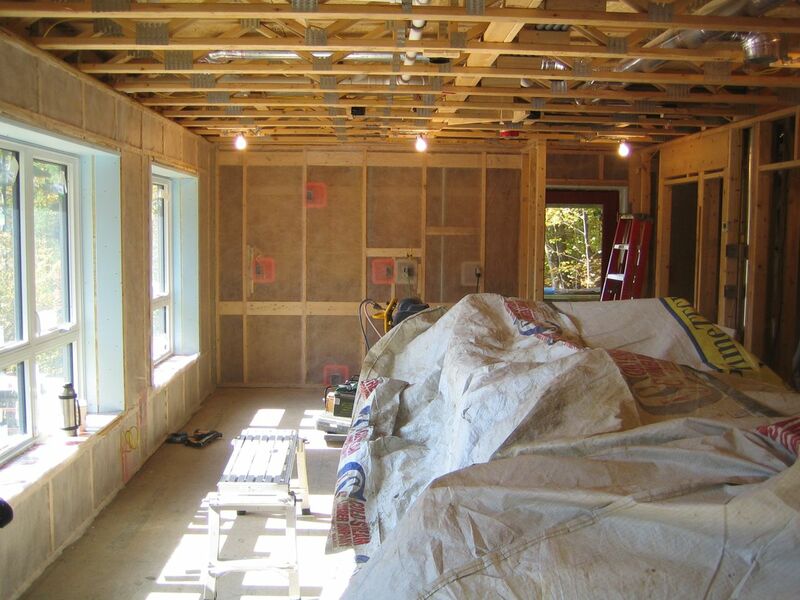 Yesterday our insulator, Don Patten and family, came over to finish insulating the house. They stapled up netting and did the first rough blow in roughly 6 hours. 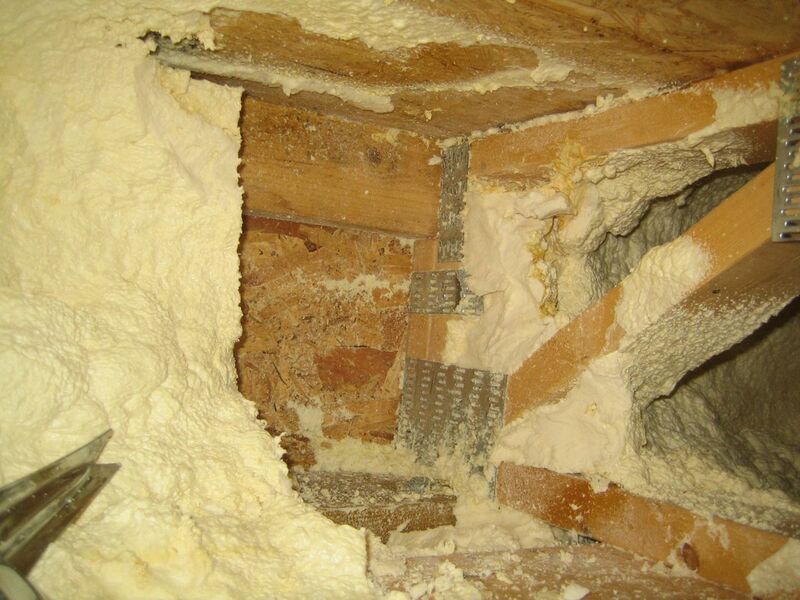 They are back today to do the second dense pack blow and top up the attic insulation in areas that settled. 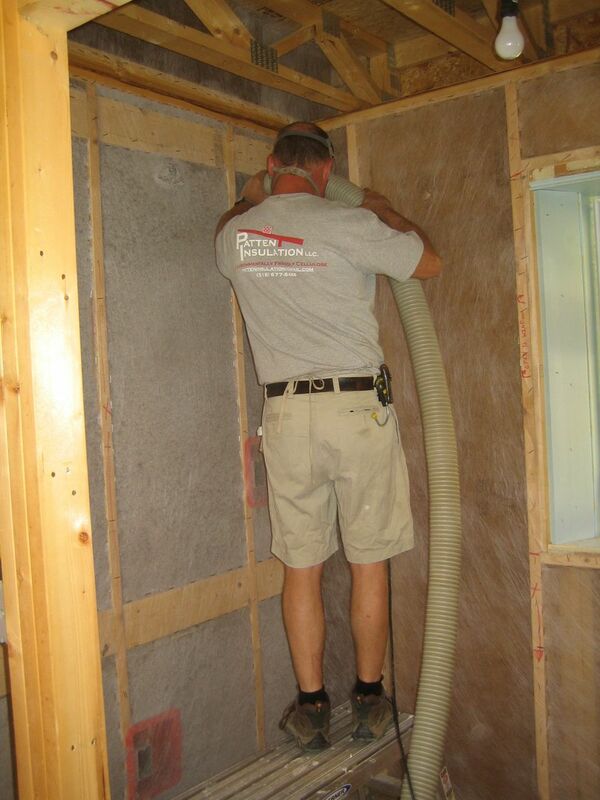 This will be the last of the cellulose insulation work. The remaining north and south rim joist areas between the first and second floors will be foamed later this week before the final sheet rocking begins. In other news, Joe Bates, our friendly local excavator will be installing our septic tank and leach field today. 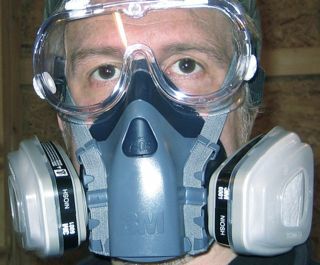 Our insulator, Don Patton, has been blowing cellulose in the attic and second floors for the last 2 days. He’s blown 24 inches in the attic thus far. This will require some topping up a few extra inches to account for settling. We want a settled depth of 24″ for an average value of R-75. 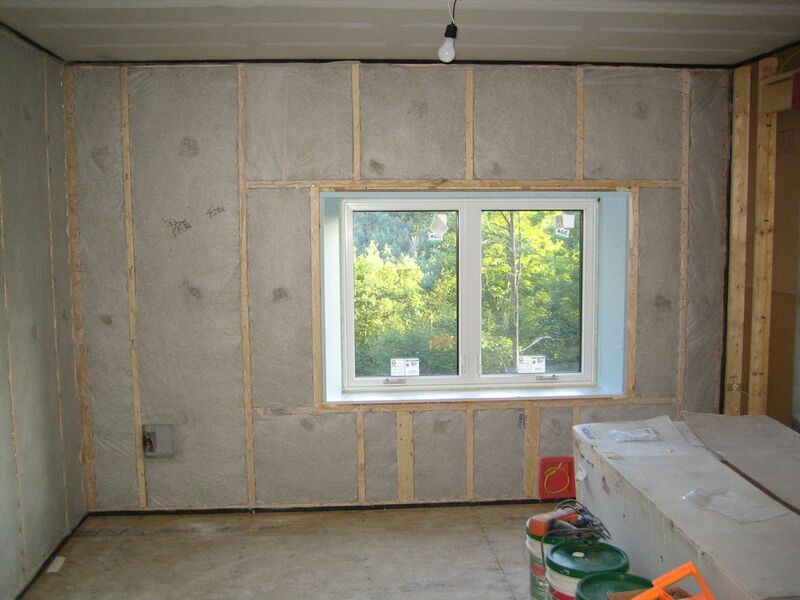 He also completed the second floor insulation today. It was a good time to be insulating, considering the temperature this morning dipped into the lower 30’s. Next items on the schedule, finish sheetrocking the second floor and basement., then the priming begins. The gutters should arrive next week and we have siding to finish on the west, south and east sides. We also had the tub surround template measured this week and the shower base is ready to install. 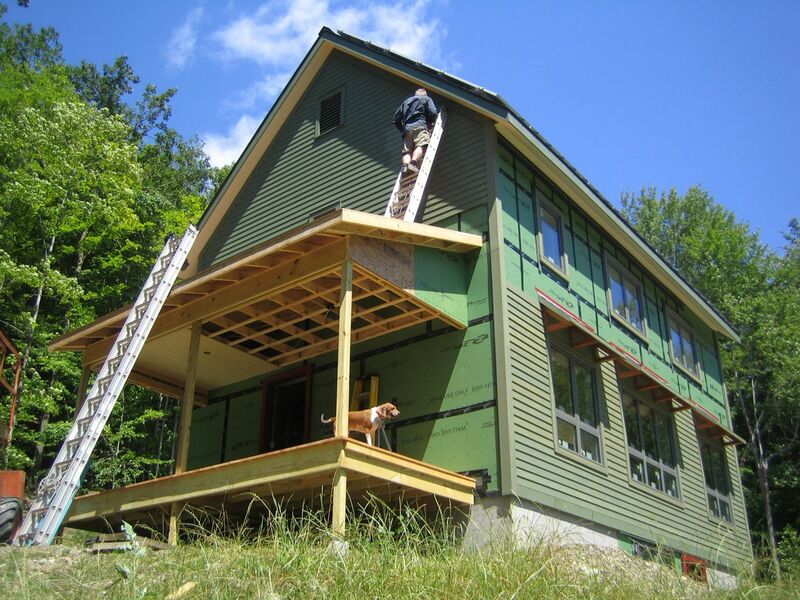 In addition to all the normally scheduled activities, we’re trying to make the house and site presentable for the October 1st Green Buildings Open House Tour sponsored by the NESEA and the National Solar Tour. You’re all invited. I took a quick run over to the house at lunch today to meet our cellulose installer, Don Patton, and take a few photos of the work in progress. But a quick movie says a thousand pictures right? They start by netting the walls. 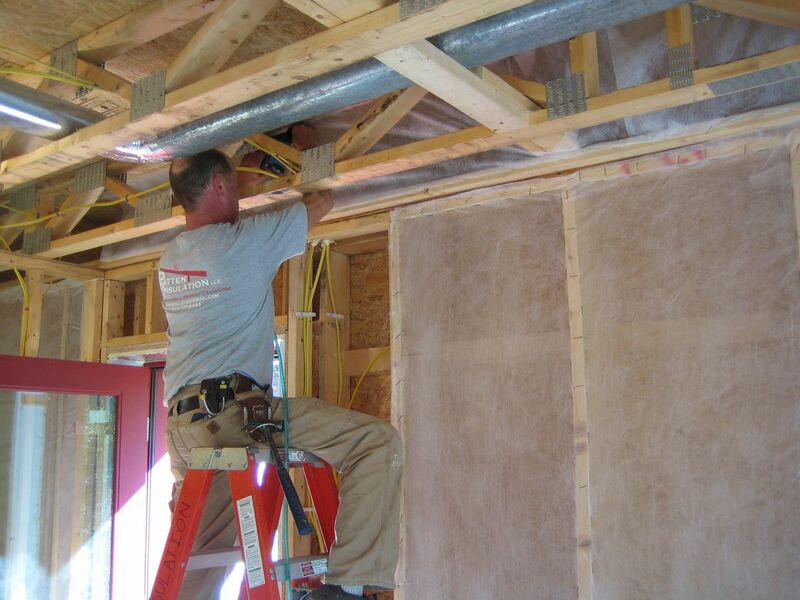 They staple the netting on the face of the studs and inset about 1/4″ inside the edge of the stud to tighten the net and make it easier to install the sheetrock later. First they fill the walls with the bulk hose. This gets a lot of material into the wall quickly. Then they use a smaller tube and move it around in the wall to add more material and increase the density. They have a roller that helps compress the material and flatten it out. 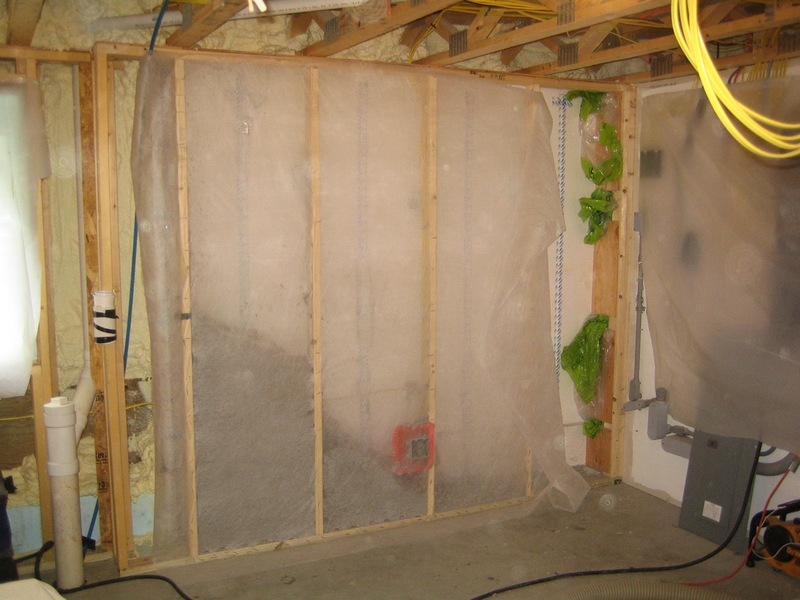 Don cut a 12″ square hole in the netting to show how dense the cellulose is packed. It really sticks to itself and stays in the wall. 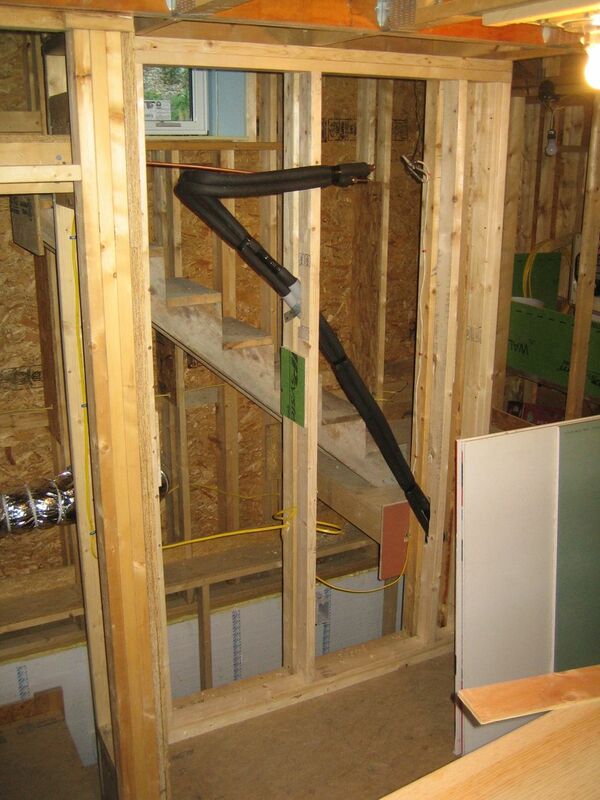 They were on track to finish the basement today and do a small section upstairs in the bathroom behind the tub. We’re trying to close in the bathroom so we can start working on the tub, marble slab, shower tile and plumbing. Don also has a blower door and is interested in doing a pretest tomorrow to see roughly where we stand before the official test next week. More details on that coming soon. Remember all those colorful pipes? View of landing from basement stair. Tubing enters landing on right and exits on the left. It’s hard to imagine that it’s already August! We’ve been busy with porch framing, painting the siding, sealing the deck, insulating water pipes and framing the last interior wall for the ASHP. We still have a long way to go with the siding, but we’re getting a jump on the second coat of stain on the weekends. 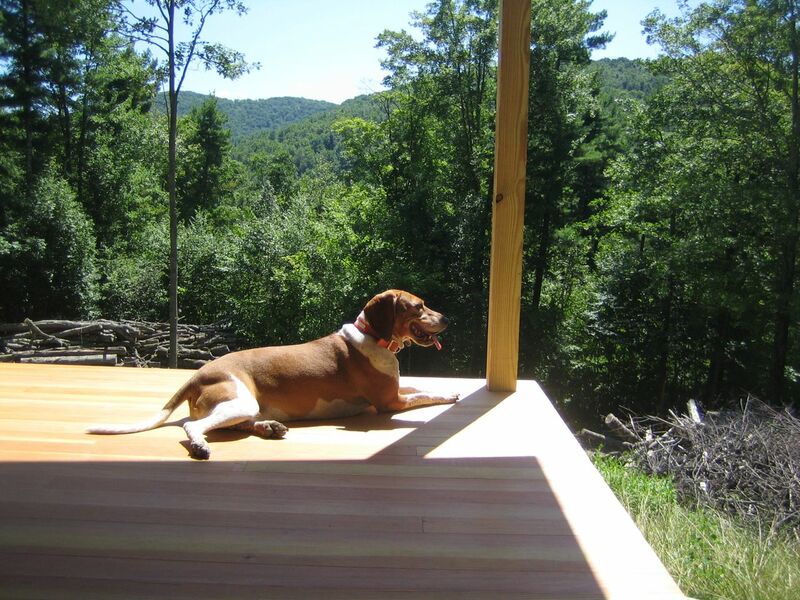 The Cabot acrylic stain really goes on well and the color (Thicket) looks great. 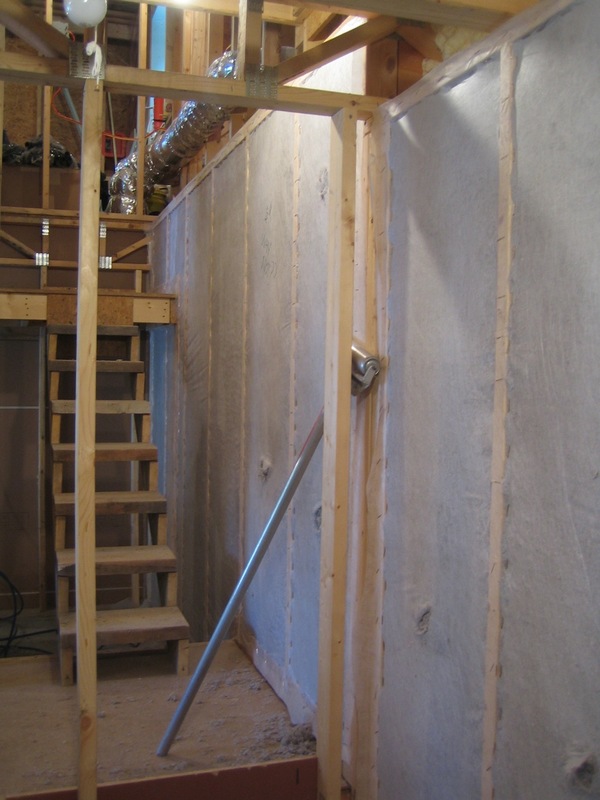 We’ve finished insulating most of the plumbing pipes in the 2nd floor. There is one area where the pipes are too close together to use individual foam wraps, so we’re going to try spray foam. And finally the last interior wall. 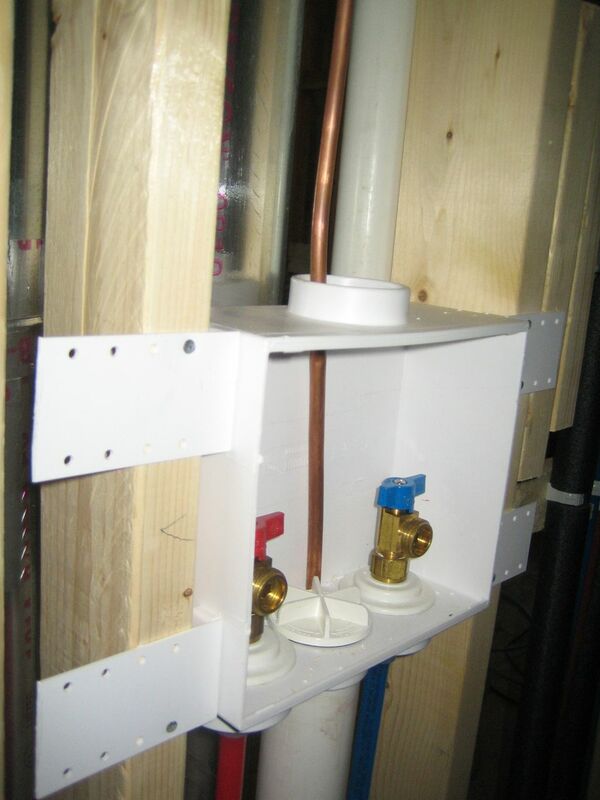 The refrigerant copper tubing for the interior unit of the ASHP can’t be bent in a tight radius, so we built a double stud wall at the stair to allow the tubing to bend more graciously. There is only a gap of an inch between the two walls. 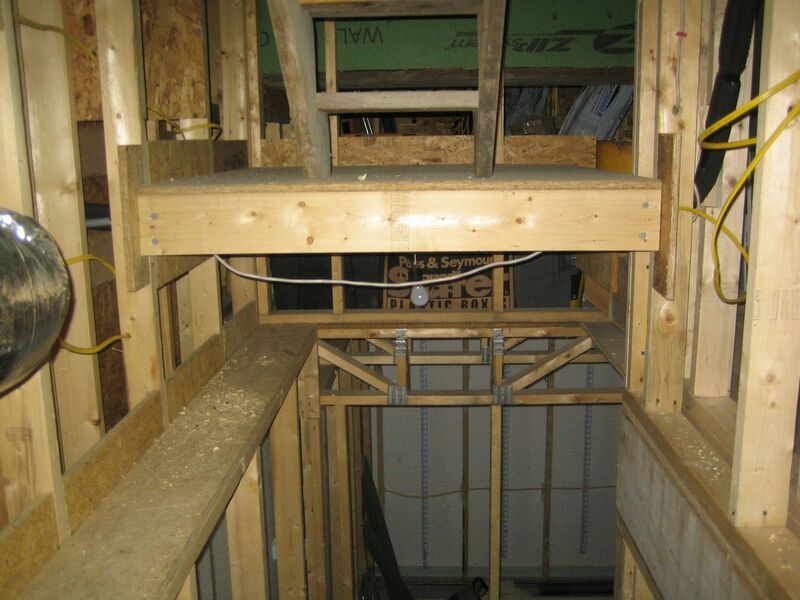 The tubing goes diagonally down to the lower right corner then through the first landing and out the exterior wall. The condensate drain also goes through this double wall. 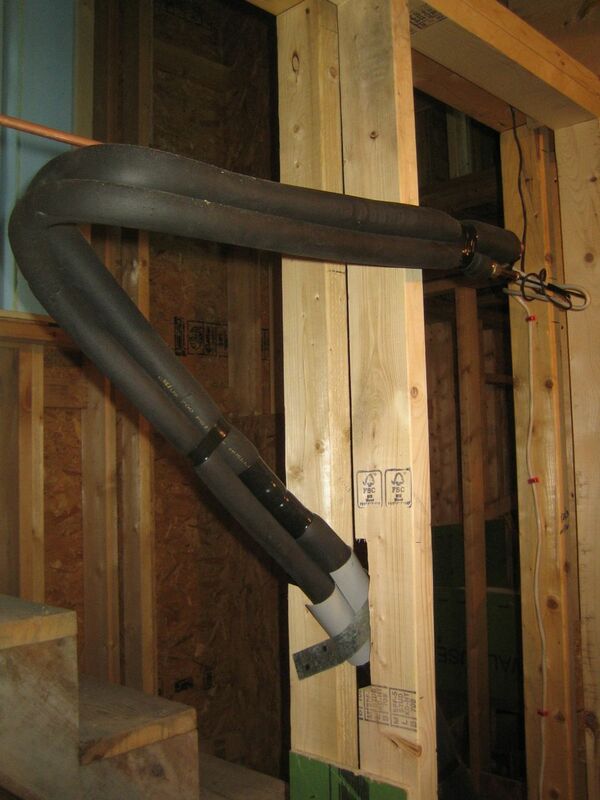 It passes through the second landing into the pantry to drain in the washer / dryer drain. August promises to be even busier. 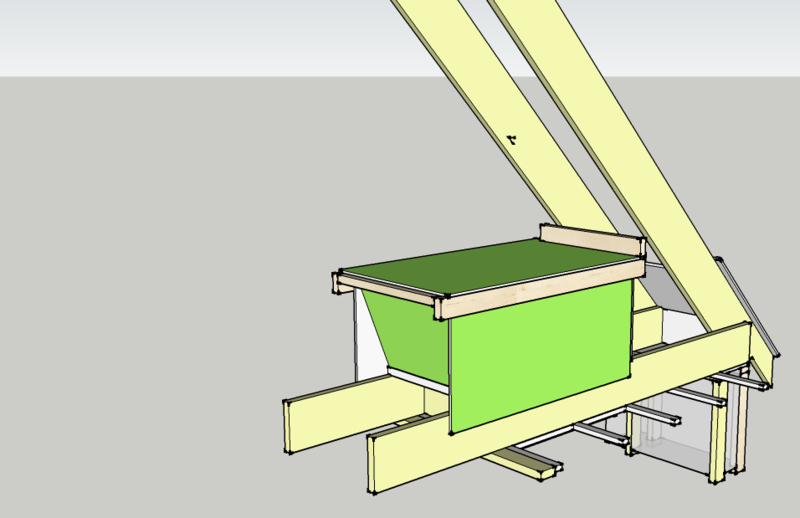 I started working on the details for our attic hatchway a few months ago. 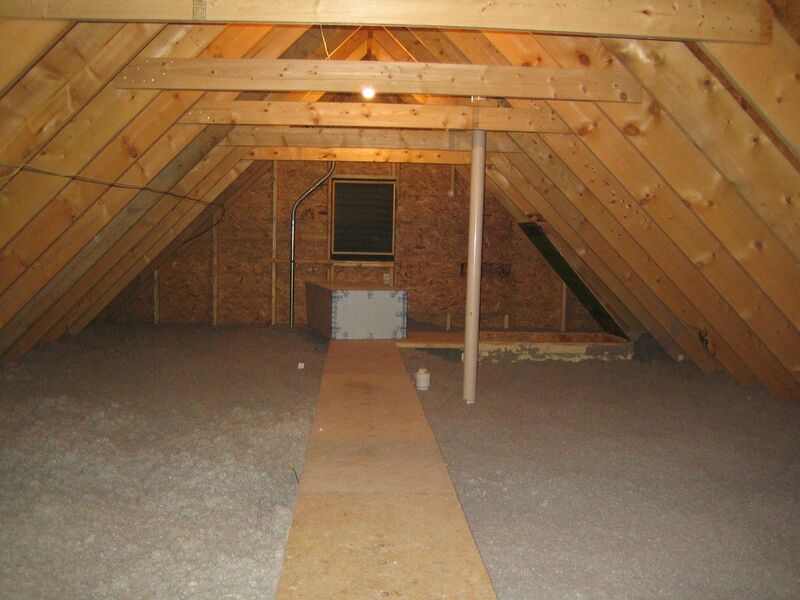 The internet is fairly void of super-insulated air-tight attic hatchways. I found this curious considering all the net zero and Passivhaus work going on to date. 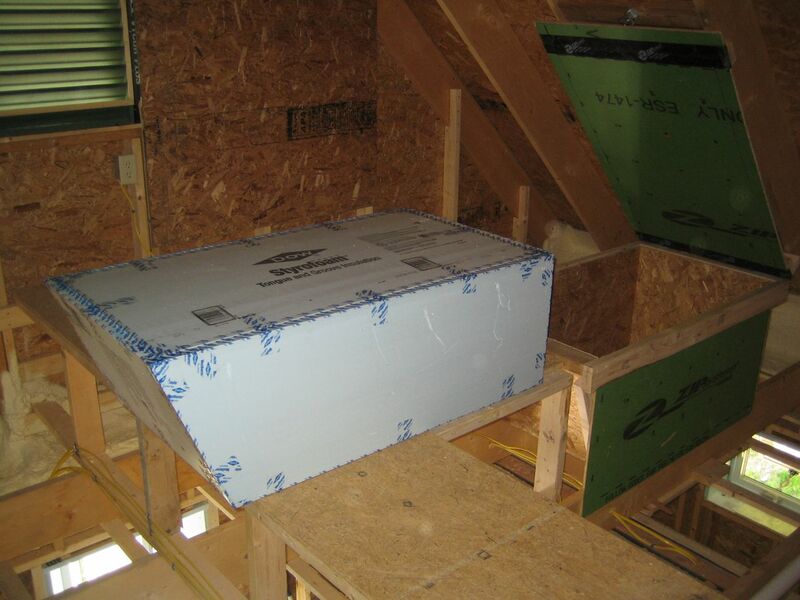 The problem is how to insulate and air seal the attic access to the same standards as the rest of the ceiling. 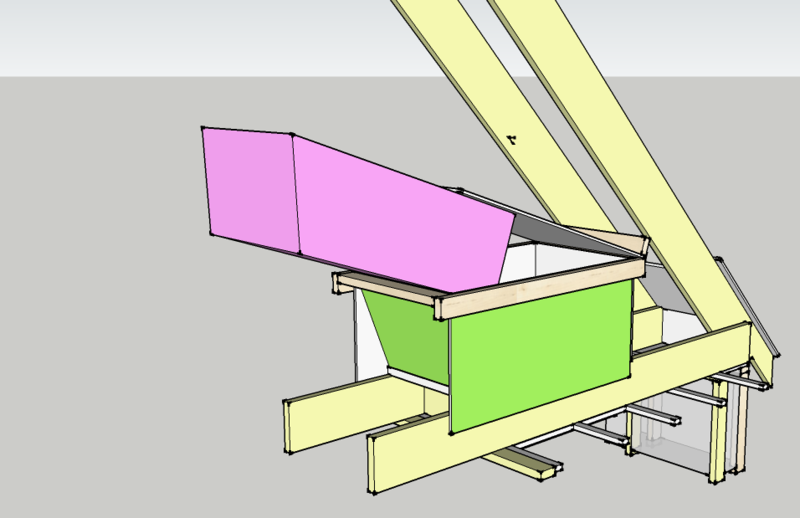 Our ceiling will be insulated with 24 inches of loose cellulose (R-75), so I wanted to make sure the hatchway was at least equal in R value and air tight. 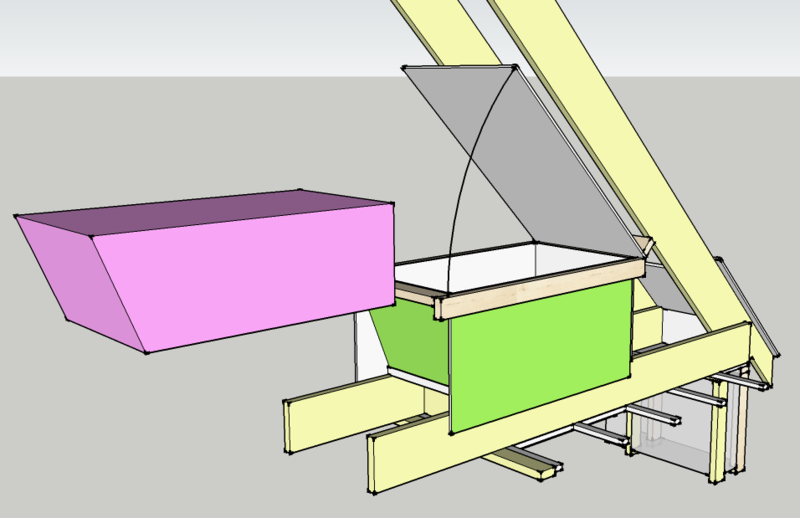 The trick was to find a way to achieve this and still be able to open and close the hatchway with relative ease. Our solution is nicknamed the ‘cork’. Essentially it’s a 24″ deep hatchway filled with 2 insulated components. 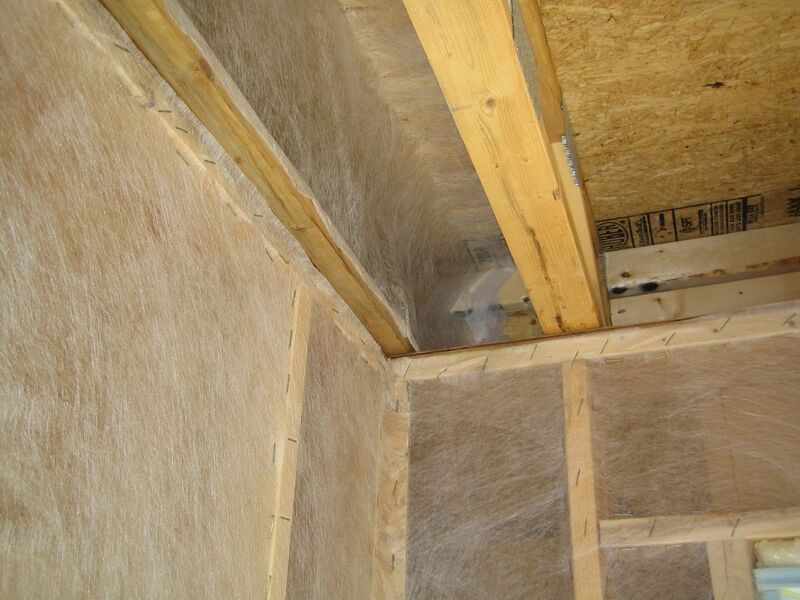 The first component is air sealed to the interior drywall. It is a piece of plywood screwed to the ceiling within a gasket and 8″ of left over rigid insulation (R-40) glued to the top of it. 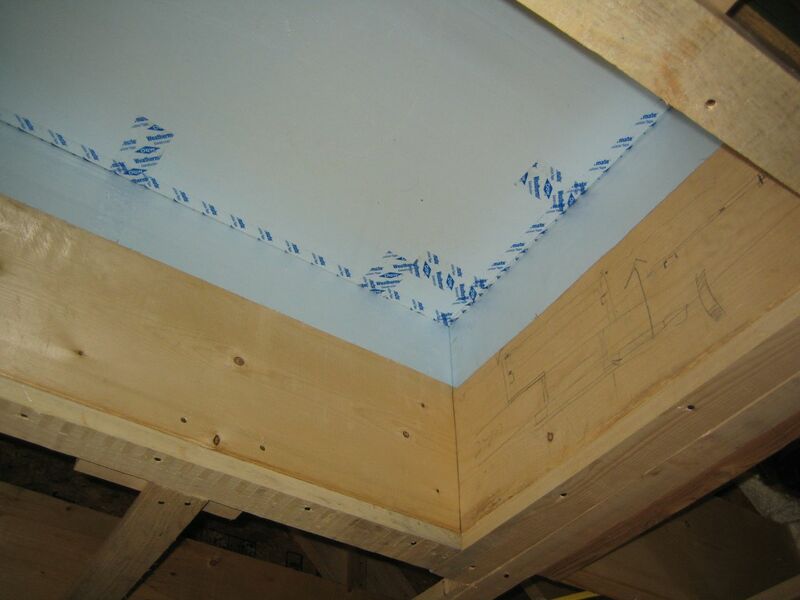 This is a fairly standard approach to sealing the attic hatch. 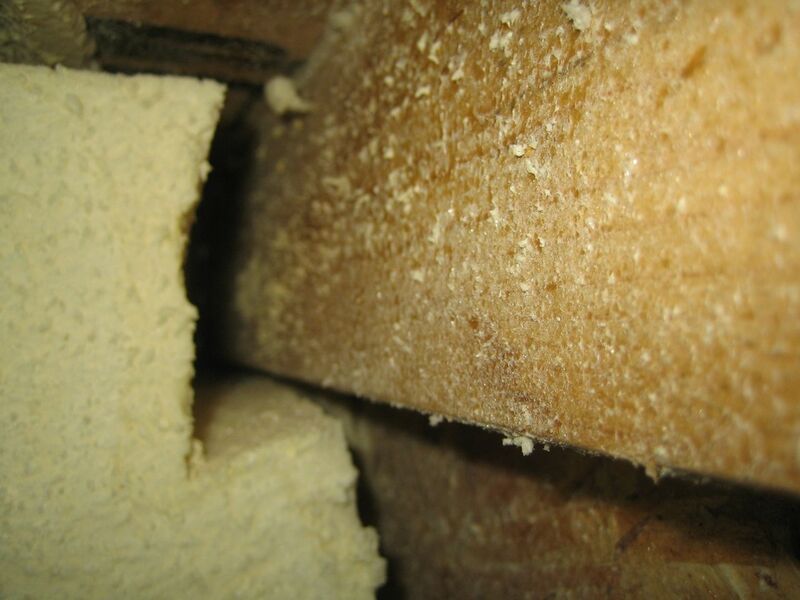 The second component (the cork) is 14″ of rigid insulation (approx. R-70) held in place by a hinged top plate. To gain access to the attic we will first remove the lower panel from inside the house, then we pop the top barrier out into the attic. To close the access we reverse the process. The total insulated value is R-110, but that is misleading. 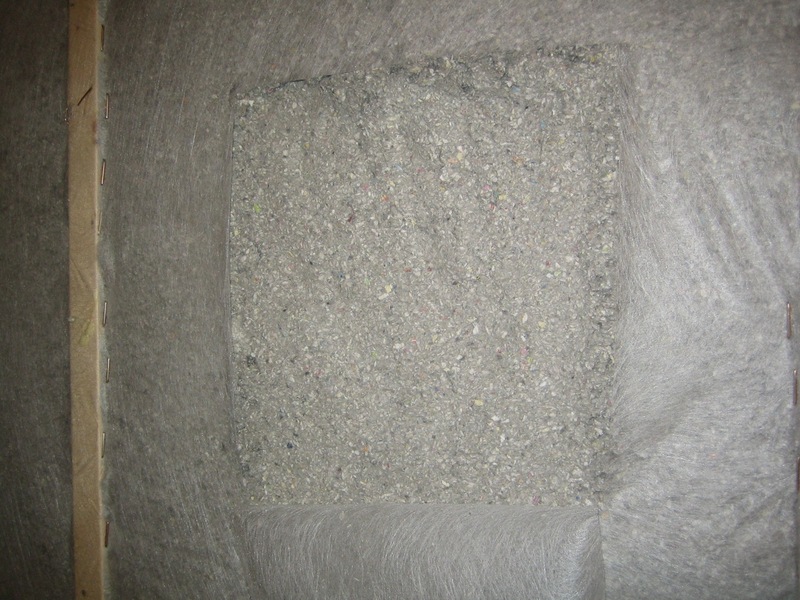 Due to inefficiencies of sealing the insulation to the hatchway, air can circulate inside the hatchway in tiny gaps at the edges and between the two insulated components, so I just tried to cram as much insulation as possible into the hatchway as tightly as possible but still be able to pop the cork to gain access to the attic. Only an inferred camera will tell if my efforts have been successful. 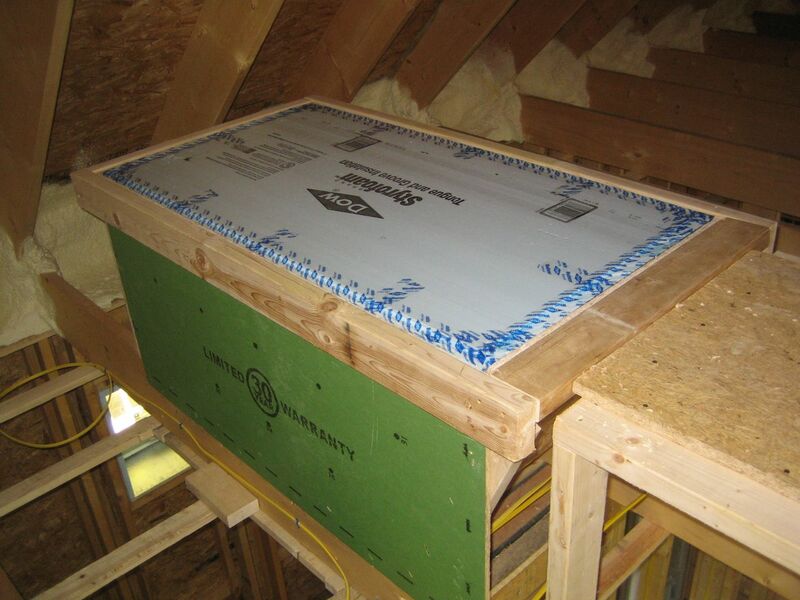 I hope this is helpful to others out there building super insulated houses with attic access from the inside. If you have a simpler detail, please don’t tell me. I feel silly enough spending 2 days building the cork. But please do post your solution to make it easier for the next person. One last word, the code requires attics be accessible, but I don’t believe it specifies whether it has to be from the inside or outside of the house. 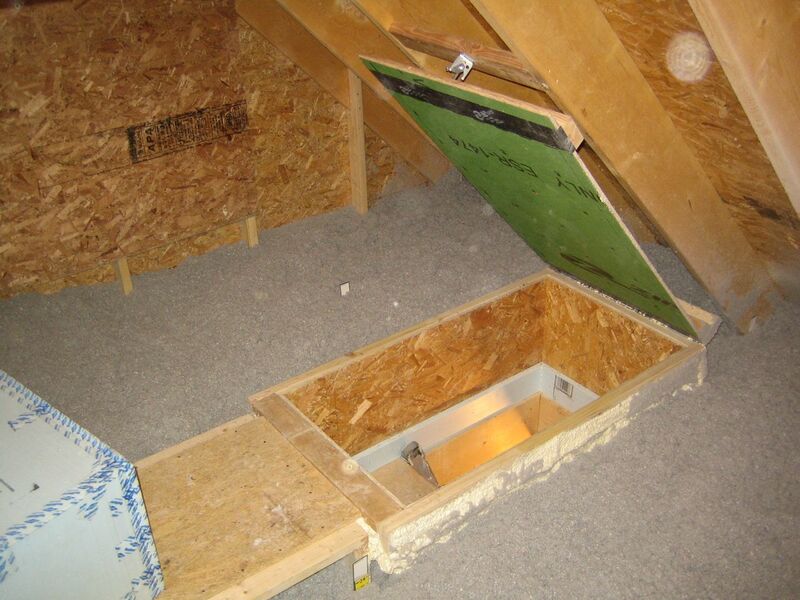 Assuming you have an attic that needs access and your local code allows outside access, I would recommend exterior access based on my experience building a super-insulated air-tight attic access hatchway. 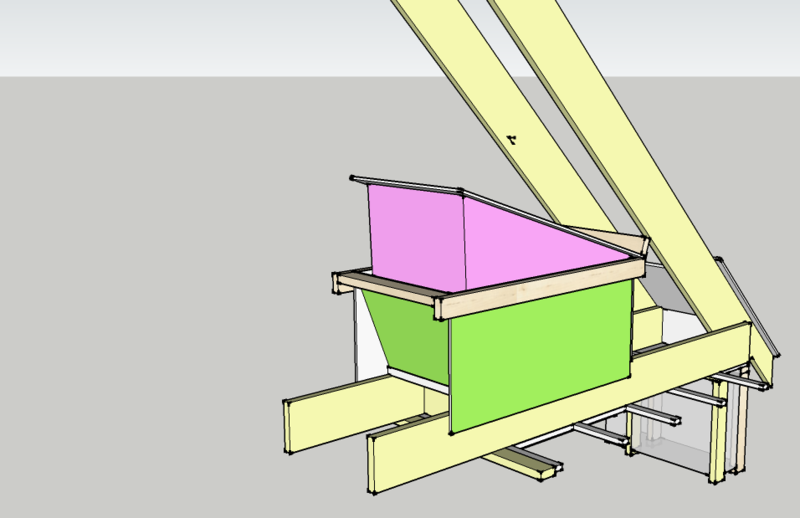 Interior access can be done, but it’s a lot of tedious work.